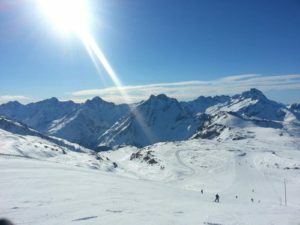 Skiing in the French Alps - Les Deux Alps - Tips for Skiing Beginners! If skiing has always been a maybe on your bucket list, here at Make a Bucket List we think you should turn it into a must do. So let us delve into the thrill ride of skiing in the French Alps. Along with the sheer joy of twisting and turning down beautiful mountains, spraying up snow at every turn. There’s also a boost of exhilaration you get from skiing with the power being in your hands. You can go as fast as you like, or just take the scenic route at your own speed. Plus you just can’t beat the mind blowing views you get from the top, which will take your breath away! This is sure to be an adventure to remember. Where to Get Started if you’re thinking about Skiing in the French Alps! Initially you may be wondering if this is for you. It really is a good idea to get some of the basics sorted first and see how you feel about it. The best place in the UK to do this is at the chill factore. Get signed up to their e-newsletters and social media pages, and you’ll find out when they have deals on. We would recommend you start with their basic taster session, so you know how to put your ski’s on and take them off; believe us it’s a good place to start! If you start to feel the adrenaline pumping, then why not take further lessons? This means when you arrive on your skiing holiday, you’ll be able to hit the slopes straight away. Part of the packages on the taster session and lessons, is the option to include all the gear too. This means that you don’t have to buy the equipment to then find out it just wasn’t your thing. We’re pretty sure you’ll love it once you get started. An additional bonus of the first session of lessons is that the instructors are so confident they’ll have you slope ready, that if you’re not feeling totally comfortable they will continue your coaching until you are! You’ve learnt enough to get out there so what’s next! Internet searches for skiing deals are always good but if you can’t wait to get home, then in the entrance to the chill factore you’ll find Crystal Ski; who specialise in skiing holidays! If they can’t find the perfect getaway to suit your budget, then they’ll certainly give you lots of pointers on where to go and the best time of year to book. Also in the entrance you’ll find a range of ski wear shops such as Dare2be, Snow and Rock, and Subvert. You’re bound to find everything needed for a beginner and who knows, you may be good to go before you’ve got back to your car! So if you can’t wait to get to your destination, then here are few more tips for booking your trip; that’s if you haven’t got it all booked already! 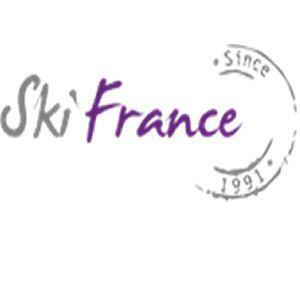 The likes of Crystal Ski, Ski France and Neilson Ski are all specialists in ski holidays and will offer different kinds of packages. But you really need to make sure you’re clicking all the way through to find the best deal. Some will offer a buy one get one free on ski lifts, others will offer package deals on equipment hire. 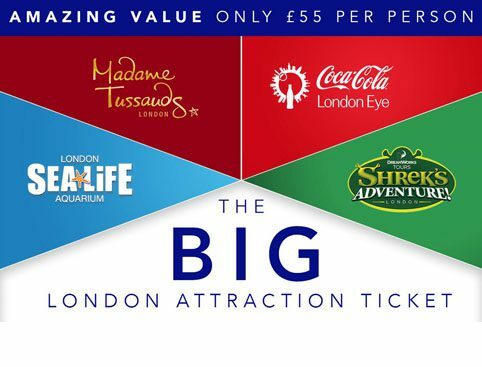 We’ve found the best savings to be the lift pass offers, which seem to be released around October and November time for January, February and March dates. Unfortunately these are for set dates and set locations, and sometimes set accommodation so check the small print. Basically it all depends on how flexible you can be with the options provided. We’ve recommend to include everything in the one booking, i.e. flights, accommodation, transfers, equipment (skis, boots, poles) and lift passes. If you prefer booking through the likes of Thomas Cook, most of the time they can match deals that you find with Crystal Ski, Ski France or Neilson Ski. Skiing Accommodation – Chalets or Hotel? If you’ve got a big group then the chalets can be a great cost effective option. If not then there’s plenty of variety ranging from basic self-catering, up to nice hotels with heated pools and including meals if wanted. It’s worth noting that accommodation in ski resorts can be a little basic, especially when compared to hotels for other types holidays. This is because your hotel is simply a place to rest your head and prepare yourself for another day on the slopes. As part of your booking it’s best to include your skis, boots and poles, after all this is only your first trip. You can look into buying your own for your second trip, as we know you’ll be as hooked as we were and soon be rushing back for more! We normally choose to go for intermediate, as these are slightly better quality and give you a little more movement. But along with these basics there’s a few other essentials. If you didn’t pick these up at the stores at the chill factore, then there is also the likes of Go Outdoors and Decathlon. – Thermal layers – Thin layers, thermal long pants, long sleeve tops and t-shirts. Removing thin layers makes it easier to cool off when you start to get warm, they also help the body’s circulation. You’ll heat up far too fast in big jumpers and have nowhere to put them! – Rucksack – For putting snacks, water and layers in during the day. Just to pre-warn you, you’ll pay extra for towels and bedding unless it is stated in your booking. They also require a deposit in the event of any damages, so we’d recommend having a credit card with you; as this can be around €300. As long as everything is left how it’s found there is no need to worry, be sure to take pictures upon arrival as evidence. The locals nearly all speak English, but there is never any harm in knowing a few word such as ‘S’il vous plaît et Merci beaucoup’ (please and thank you very much). One of the most important documents you need, is your travel insurance and EHIC card. Hospitals which accept EHIC cards (European Health Insurance Cards) are not always easily accessible, so we highly recommend that you take out comprehensive private insurance. Les Deux Alps – Our recommendation for skiing in the French Alps! We’ve pretty much covered the basics, from deciding if skiing is for you, to the accommodation and equipment. But if you’re still looking for your perfect ski resort, whether you’ve only just mastered the basics or you’ve taken to it like a duck to water; Les Deux Alps could be your perfect option. 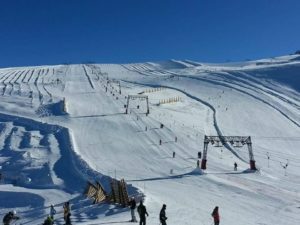 It has 96 runs in total; 17 beginner, 45 easy, 22 intermediate and 12 difficult, meaning you’re bound to find a slope to suit everyone in the group. In our experience if you’re travelling with a number of people, you’ll find that everyone will vary on their skill and the level of slope they’re ready for. Les Deux Alps is incredible easy to find your way around and differentiate between each of the slope levels; basically it’s perfect for everyone! 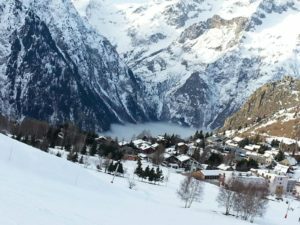 There are a few more reasons why we would class this as a great resort, because alongside the large number of slopes there is also a great little village at the bottom. Here you’ll find a full range of bars, pubs, restaurants and cafes, one of our favourites being The Secret Bar. This quaint and cosy bar offers incredibly comfy chairs to sink into, when your aching from skiing all day. Plus for added entertainment they offer fun happy hours and a weekly quiz. But for those of you who are addicted to your mobile devices, then you’ll love the fact they offer free Wi-Fi. Especially if you feel like you’ve lost touch with those back home, though sometimes that can be a blessing! Top tip from Make a Bucket List are the Crepes a Gogo, which are delicious and go beautifully with the yummiest mulled wine; perfect to warm you through after a cold day on the slopes. Along with great places to eat and drink in the village, there are also a few bars up the mountain to keep you going all day. Our favourite being Pano Bar at 2,600m high, so you can chill out and enjoy the views. Also in the late afternoon the music will get going, to gear you up for your trip back down. If you’re nervous about the slopes higher up the mountain, as this resort reaches a whopping 3,600m; don’t worry as you can always get the lift back down! But going up is a must just for the views alone, we can honestly say it is breath taking. We hope after reading this it has got you looking forward to your next adventure, so why not make it skiing in the French Alps! If you head for the slopes then make sure you let us know how it goes on our Facebook and Twitter pages.